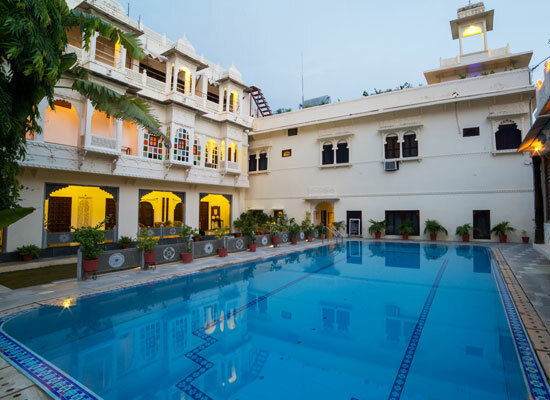 "Hotel Mahendra Prakash, Udaipur is one of the finest heritage style hotels in the romantic Lake City. The magnificent architecture and interiors are alive with the memories of the bygone era. 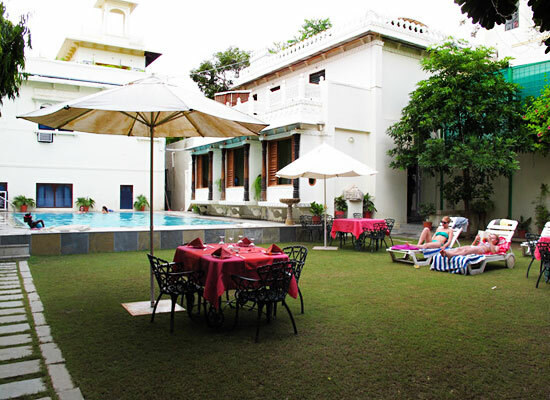 The hotel is set amidst lush green landscapes overlooking the Sajjan Niwas Garden. 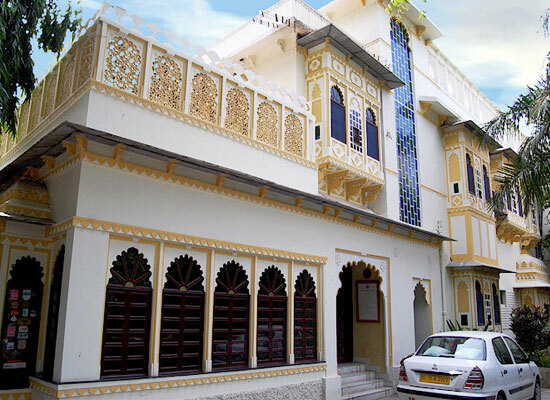 Thetown's attractions and alluring treasures are easily accessible.Constructed in a typical Rajasthani style, the family run haveli resort offers impeccable services and traditional warm hospitality to visitors. The deluxe rooms in Hotel Mahendra Prakash are available in options of a king-size bed and twin beds. 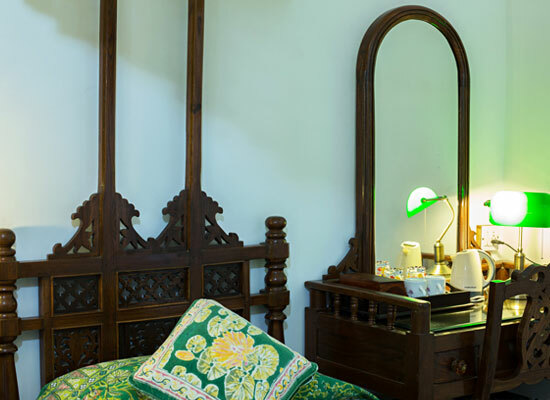 Table, cupboards, study desks, wall linens, traditional furniture create impeccable lodgings. Guests are treated to a range of amenities which includes air-conditioning, satellite TV, direct phone, room service, power back up, etc. The attached European style washroomsadd comfort to your stay. Theinteriors are made of beautiful designs and vibrant colors create a positive ambiance. Hotel Mahendra Prakash superior rooms are available in options of king-size bed and twin beds. The beautiful designs and vibrant colors of the rooms radiate positive energy. Cupboards, study desks, tables and seating areas are in traditional designs. Guests are offereda range of amenities like air-conditioning, satellite TV, direct phone, room service, power back up, etc. The attached European style washrooms are a plush comfort. Relax and enjoy a lavish stay in the rooms. 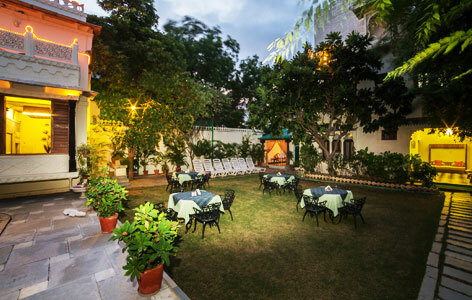 Hotel Mahendra Prakash continues the legacy of fine dining associated with Rajasthan. The in-house restaurant offers some sumptuous meals. 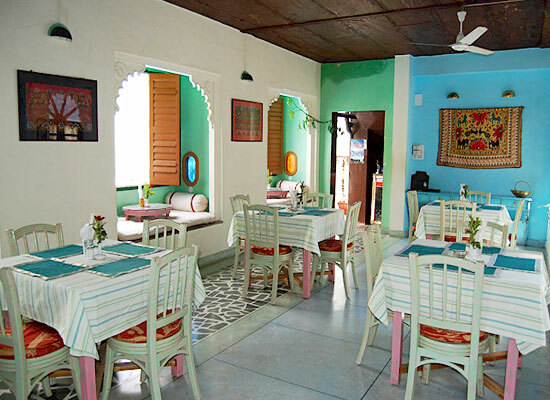 The traditional restaurant offers local delicacies of the royal state, specialties of India, Chinese and continental dishes. Dine in style as the chefs lovingly create a memorable dining experience. For some special orders enquire in advance for the chefs to treat you to their skills. Udaipur is known as the City of Lakes owing to the picturesque Lake Pichola, Fatehsagar and Swaroopsagar. The awe-inspiring city ranks among the most romantic destinations of royal Rajasthan and have some marvelous heritage hotels. Visit some marvelous.